Richie Hughes is the founder of Richie Hughes Instructional Camps. A dynamic and sought-after speaker, he formerly served with Jentezen Franklin as the executive pastor of Free Chapel Church in Atlanta and Orange County, California. 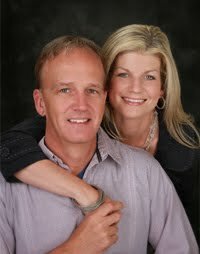 He holds degrees from Lee University and Lincoln Memorial University and lives in Cleveland, Tennessee, with his wife and their two daughters. 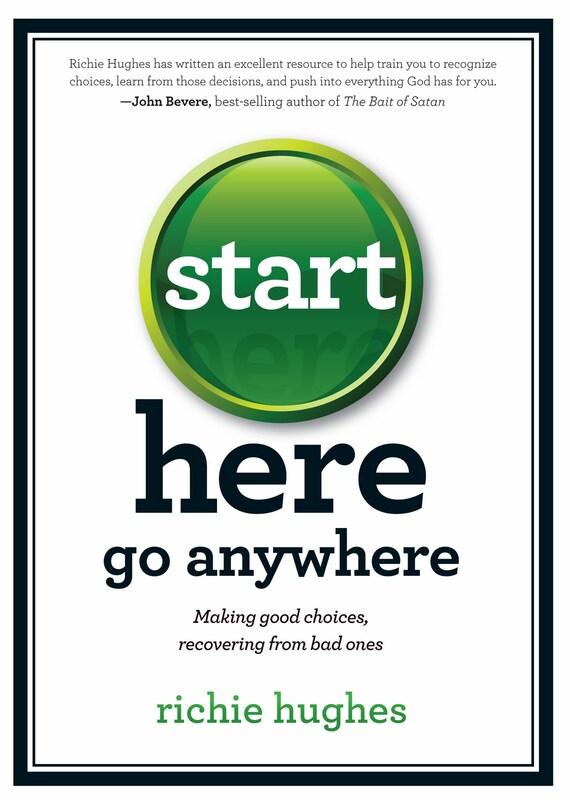 Start Here, Go Anywhere gives you the tools you need to make good choices and recover from the bad ones you may have already made. With moving stories from his own life—including losing his only brother to AIDS—and testimonials from former Atlanta Braves pitcher John Smoltz and Mac Powell of Third Day, Richie Hughes provides a fresh treatment of both failure and redemption. No matter where you are today, with God’s help you can go anywhere. Poor choices in the past do not destroy your future potential to do great things. God loves you so much that He wants to transform your future for His glory. I like to win. All my life I have believed that if someone is keeping score, I should come in first place. adult life coaching student athletes. I am very competitive in everything I do, and I realize that’s not always a good thing. I battle this part of my personality on a daily basis. Although I still love to play sports, I can’t quite do at forty-five what I used to be able to do at age eighteen. My baseball and football days are over, and my basketball days are numbered. So like many other men my age who strive to be competitive, challenging their bodies and minds in hopes of staying in the game, I play golf. One day while I was playing golf with a friend, I found myself very frustrated. I was having a series of especially bad breaks. The ball just would not bounce my way. If you know anything about golf, you know it is a sport that requires a high level of skill but gives a low level of success in return. There are just too many uncontrollable factors that can influence the outcome of the game—wind, the speed of the putting green, and the distance of the putt, just to name a few. Both my friend and I are competitive, and each of us wanted to win badly that day. Of course, he got all the breaks. He hit shots into the trees and yet they would bounce back out into the fairway like magic. Everything was going just right for him. I on the other hand was having no such luck. I made some great shots. They left my club perfectly and actually landed in the fairway, but that’s where my good fortune ended. Partly because the ground was hard and parched from the heat of summer, my shots kept flying down the middle of the fairway and, just as they hit the course, would begin to roll farther and farther away from the mark. I’d end up taking long walks back to the golf cart to follow my errant ball, my frustration increasing with every step. One shot rolled through the fairway, through the rough, and splashed into the creek. I was annoyed, but I shook it off trying to focus on the next hole. Then, unbelievably, the same thing happened with the next hole. My shot went flying through the air, hitting the fairway beautifully; then it too began to roll off course until it landed in water. I should have known I was in trouble even before I started the game. The golf course was named after a series of lakes, and indeed there was water everywhere. With each stroke, I became more and more upset, until I was boiling inside. My partner’s shots were going into the trees, then coming back out, hitting the cart path, and advancing another fifty yards closer to the green. Why him and not me? I pressed on, my competitive nature not allowing me to quit or to just enjoy the game and the time I was able to spend with my friend. I didn’t care about the beautiful scenery or that I was fortunate enough to not be sitting at my desk wishing I could play a few rounds. None of that mattered because, you see, it was all about the win. Finally, after battling every force of nature and beyond, I finally got to the green. It was time to make my putt. I was thinking, “OK, let’s see the water mess this up!” I told myself that I have perfect form, perfect delivery, and I will make the putt. My nice, firm stroke sent the shot toward the hole; then everything seemed to stop as I watched that little white ball roll toward the tiny hole in the middle of the green. I held my breath as my shot rolled into the hole and spun around in the cup. Then the unthinkable happened. It made a U-turn and jumped out of the hole! I was living every golfer’s worst nightmare. I exhaled slowly but then succumbed to the frustration I had been feeling all day. I tossed the putter so far into the woods I might have made the Guinness Book of World Records for throwing a golf club the farthest distance (I’m kidding). My competitive spirit really got the best of me that day. My putter is probably still somewhere in the woods rotting and rusting to this day. Yet what happened next was probably worse than the horrible tricks my golf balls were playing on me. My friend said, “Richie, the cart girl’s watching.” I looked up, hoping against hope, but there she was right behind the green. The young woman’s cart was full of cold beverages for the golfers, and she had stopped so she wouldn’t disturb my friend and me while we made our putts. Unfortunately, she had witnessed the whole thing. What kind of spectacle had I made of myself? What kind of example was I setting for this young girl or my friend? Everyone at the golf club knew I was in the ministry. What did my behavior reflect about my ability to control my anger? I hadn’t thought about any of these things when I was throwing my putter. I was only concerned that I had missed the shot. What had once fueled my success on the playing field had become a stumbling block. My competitive spirit, my desire to win had crossed an invisible line, becoming a weakness instead of a strength. Have you ever made a choice you regret? We all have at one time or another. Some of our choices are merely embarrassing while others lead to more serious consequences. That day on the golf course I harmed my witness as a believer in Jesus before both my friend and the young woman manning the beverage cart. I could only hope it wouldn’t sour her view of Christians in general. Yet I know of others who have struggled with addiction, financial hardship, and even a life-threatening disease because of the decisions they made. Our lives are shaped by our choices. No matter where we begin, our decisions each day determine where we will end up. We choose to get up every day and go to work or school. We choose whether or not we are going to eat certain foods or exercise. We choose whether we are going to smoke or drink alcohol. We choose what type of sexual encounters we will participate in and with whom. We choose our spouses and our friends. Each of these singular decisions has a consequence that is powerful and lifelong. Even decisions that seem insignificant, like what we eat for lunch, can have a profound impact on our lives and the lives of others. In his book The 21 Most Powerful Minutes of a Leader’s Day, John Maxwell describes a law of momentum that is shaped by our choices. I like his observation so much that I have shared this principle repeatedly and even used it in a Bible study I led for the Atlanta Falcons players. Two years later the players were still putting into practice the lessons learned. Using the first four kings of Israel as examples, Maxwell explains that we can choose to be momentum fakers, momentum takers, or momentum makers. David and Solomon were the momentum makers. David was a great warrior who conquered territory that gave Israel room to expand, and Solomon oversaw great wealth and built a temple for the Lord to dwell in. Rehoboam, however, was a taker because he obtained everything his predecessors had worked so hard for and disbanded it in just a matter of days. And Saul was what Maxwell calls a faker. He had tremendous potential, but his insecurities kept him from being all he could be; his successors David and Solomon took Israel to the next level. As I told the players, every day our choices determine what kind of momentum we create. We can be fakers, who have tremendous talent but allow insecurity and doubt to rob us of our effectiveness. We can be takers, who make foolish mistakes or don’t give our full effort. Or we can be momentum makers, whose decisions bring great success. This is the kind of person we all should aspire to be. When I presented this concept during the Bible study, I brought cards the players could use to track their progress. 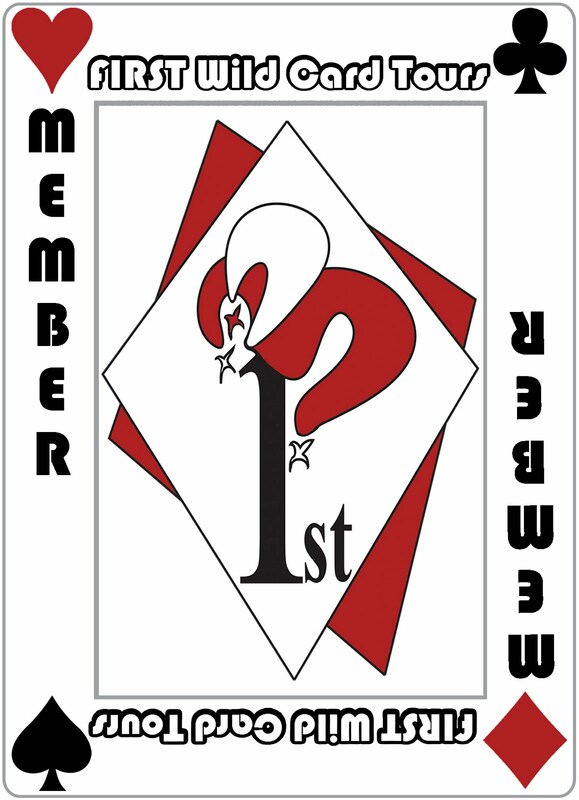 Each card had the word momentum written in huge letters, and beneath it the three categories were listed: faker, taker, and maker. Every day when the players made the right choice, their decision affected not only them individually but also those around them, and it helped make the team successful. The same is true for you and me. Our choices have tremendous power to set the course not only of a game but also of a day, a year, even a lifetime. I thank God for giving us the freedom to make our own choices. He is powerful enough to force us to do whatever He desires, but He does not function that way. God wants to be in relationship with us, not to have us respond to Him like robots. Where’s the fun in that? Whether it’s coming from a child, a friend, or a spouse, the words “I love you” aren’t nearly as meaningful when they’re not said willingly. and not eat of the tree of the knowledge of good and evil, or to partake of the fruit and suffer the consequences. We all know how that story ended. Adam and Eve’s disobedience led to their separation from the intimacy they once had with God. He gave them everything they could possibly need, and He made a point to spend time with them each evening, but their rebellion cost them all of that. As a result of their disobedience, Eve and her descendants would suffer pain in childbirth, and Adam would have to toil to provide food for his family. We are still reaping the fruit of Adam and Eve’s disobedience in the Garden of Eden. Romans 5:12 says, “Through one man sin entered the world, and death through sin, and thus death spread to all men.” Adam and Eve probably never thought their decisions would impact their descendants for generations, but that’s the tricky thing about consequences. We can’t choose them. We’ll discuss that point more fully later on, but suffice it to say that we have absolutely no control over the results of our choices, only on the choices themselves. This is why God sets before us one choice that is more important than all the rest. Although God gives us the freedom to make any choice we desire, His will is that we choose Him and His ways. Why? Because He is our life and the length of our days. Choosing Him is the only way we can spend eternity in God’s presence, and He is the ultimate source of peace, joy, fulfillment, and eternal life. He created us, and He knows what we need even better than we do. Jeremiah 29:11 says God has plans to prosper us and not to harm us, ourselves will never match God’s best for us. It won’t even come close. Sometimes we think we can serve God and still pursue our own ambitions. This too is a recipe for disaster. It is impossible to wholeheartedly love God and be attached to the world. Matthew 6:24 says, “No one can serve two masters; for either he will hate the one and love the other, or else he will be loyal to the one and despise the other.” When we attempt to serve two masters, our judgment gets cloudy, and we end up making faulty decisions. This is because our choices will always reflect our values. When obeying God is a priority, our choices will reflect that. We will do our best to avoid making decisions that harm our witness or are contrary to God’s Word. I regret my actions on the golf course that day, but I know that if I weren’t committed to honoring God in all I do, I probably wouldn’t have been so embarrassed by my behavior. Nor would I have attempted to avoid making the same mistake the next time I was frustrated by my golf game. When Joshua was nearing the end of his own life, he gathered the Israelites together and prophesied to the people, reminding them of all that God had done for them. God had brought them out of captivity in Egypt, delivered their enemies into their hands in battle, and even gave them land for which they did not labor and cities they did not build. You’d think that after seeing the Red Sea part and plagues of locusts and frogs descend on the Egyptians, the children of Israel wouldn’t want to serve anyone but the Lord. Yet Joshua didn’t make any assumptions. After recalling God’s goodness, Joshua gave the Israelites a choice that I believe God is extending to you right now. He said, “Choose for yourselves this day whom you will serve, whether the gods which your fathers served that were on the other side of the River, or the gods of the Amorites, in whose land you dwell. But as for me and my house, we will serve the Lord” (Josh. 24:15). Richie Hughes and his house are committed to serving the Lord, but you have your own choice to make. You may have seen God move mightily in a family member’s situation, for someone at your church, or perhaps even in your own life at some time in the past. But you still must choose. You won’t be guilty by association. Will you follow God or your own rules? This is the most important choice any of us will ever make. Choosing Christ will ultimately lead to eternal life and bring God’s blessings, but that doesn’t mean life will be easy. Not even close. I grew up in a Christian home with parents who loved me and my siblings and taught us to follow the Lord. Yet easy is the last word I would use to describe the journey God allowed us to take. We experienced heartbreak, and we cried many nights as we grappled with choices that would turn our lives upside down. 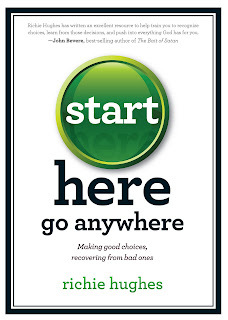 This is one of those books that everyone should read. We don't always realize or think about the consequences of the choices we make. But be assured... every choice, no matter how big or small, has a consequence... be it good or bad. Richie Hughes leads us with scriptures and personal experience to show just how the choices we make can change the course of our lives... and others' as well. No matter where you are in life or what choices we have made in the past, he reminds us that we serve a God who can wipe the slate clean and give us a new start. We can learn to make better choices... we just have to choose. I can't recommend this book highly enough... not just for yourself, but for family and friends. Who wouldn't want to learn to make better choices?